Who tuned into the wedding between Chiara Ferragni (fashion blogger, CEO and more!) and Fedez (Italian rapper)? It was magical. And extravagant. And extra large! Chiara’s first wedding dress (why have one when you can have two? Designed by Dior!) was made up of a lace bodysuit and a massive tulle skirt. The hours and skill that went into this dress are impressive. It seems that lace – and lace circle shapes – may be something we’ll see quite a bit of in the months ahead. Here’s just one sample of the design in a pair of affordable tights. It’s all in the eyes for today’s two-for-Tuesday! 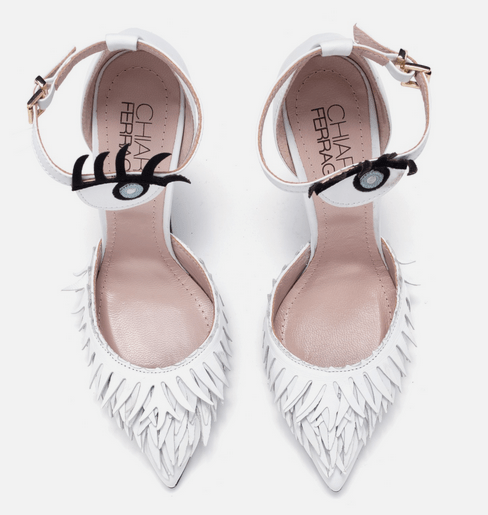 I adore these Chiara Ferragni Molly heels. 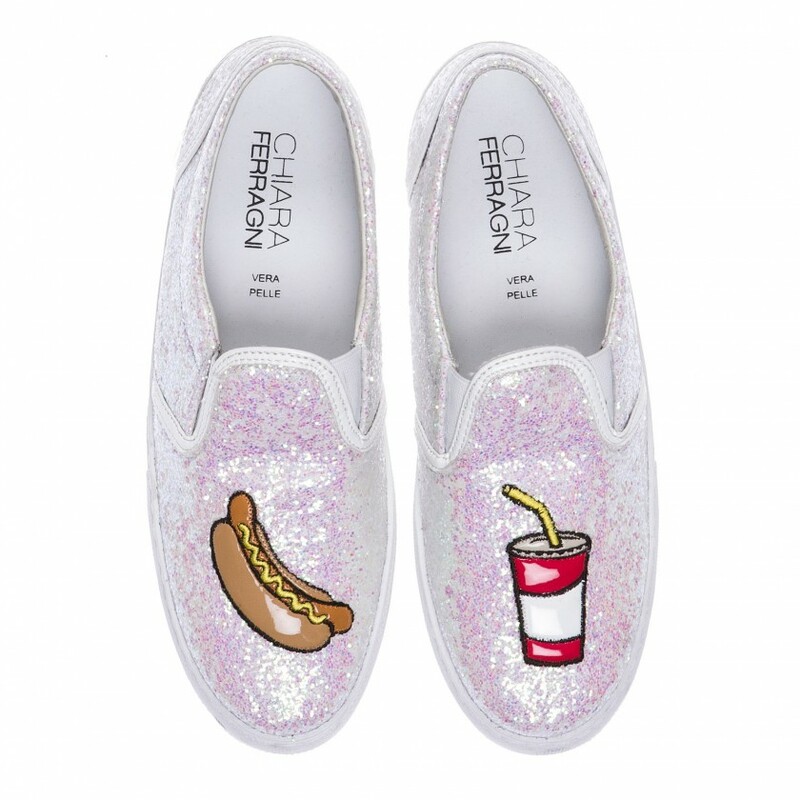 I don’t know where I’d ever wear them, but I definitely think they’re fun and fabulous! 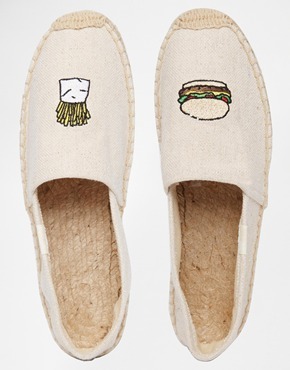 I’ve been noticing these fast food slipper shoes popping up at various retailers. 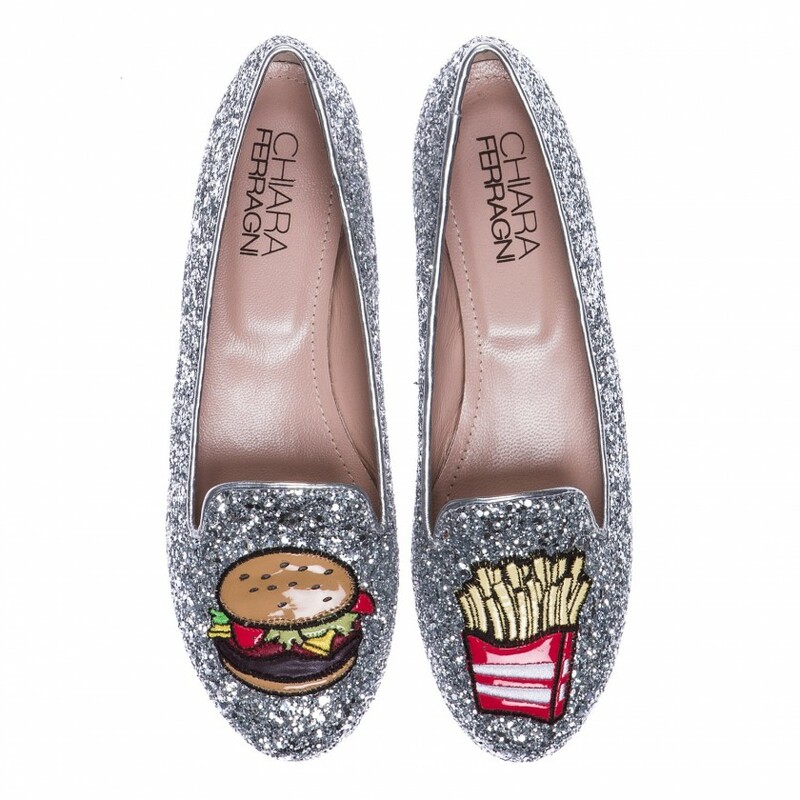 What do you think about this fast food on your feet shoe style?